Witnessing one bullpen failure after another in the playoffs makes baseball fans, especially Yankee fans, appreciate the great Mariano Rivera all the more. Year after year, Rivera, pictured above with Jorge Posada and Scott Brosius after saving the final game of the 1999 World Series, compiled a post-season resume that is unrivaled in baseball history. In 96 playoff games and 141 innings, Mariano had a 0.70 ERA. He had 42 saves (same as his number) in 47 opportunities. Sure Mo blew a few – most notably against Arizona in the 2001 World Series in Game 7 and two games against Boston in the fabled ALCS 3-0 comeback. He was human. That 0.70 ERA is the best all-time in MLB playoff history, ahead of such luminaries as Sandy Koufax, Christy Mathewson and Babe Ruth. And the 42 saves is more than twice as many as the runner-up, Brad Lidge. Here’s another stat – Rivera allowed exactly two home runs in post-season, none after Jay Peyton took him deep in the 2000 World Series with the Mets. Heck, Dodgers closer Kenley Jansen has given up as many homers in this World Series alone. Name the only franchise to win both American and National League pennants? It’s the Houston Astros of course. They Astros won the National League pennant but were swept by the White Sox in the 2005 World Series. And this year they were American League champs. If the Yanks continue their Joe trend, then third base coach Joe Espada will be named the next manager, succeeding Joe Girardi. Girardi won one World Series in 10 years. He took over from Joe Torre, who won four World Series in 12 years. And another Joe – McCarthy – managed the Yankees for 16 years between 1931 and 1946, winning a franchise best 1460 games and seven World Series. Going out on a limb here, and tabbing Al Pedrique as a dark horse candidate for the next Yankee manager. Pedrique has been successful managing the Yankees Triple A affiliate Scranton, and has groomed many of the young Yankee stars, including Aaron Judge, Gary Sanchez. Greg Bird, Luis Severino and more. Game One of the 2017 World Series ran just two hours and 28 minutes, the quickest playoff game in more than 20 years. The game brought back memories of the old days, when games typically ran two hours, sometimes less. As a kid, I used to go to Sunday doubleheaders at Yankee Stadium, and most times be home before dinner. And the price was right – $1.50 to sit in the upper deck, half price with a high school card. Two games for 75 cents. Top that. 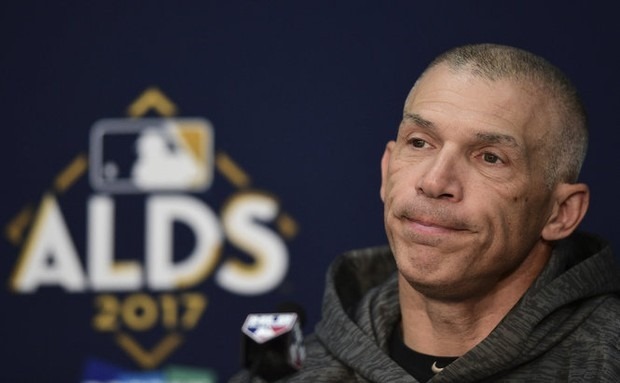 Yankees manager Joe Girardi, who has a habit of over-managing, suddenly decided to under-manage at the most critical point of the season. It cost the Yanks a playoff game. Everything was going so well for the Yankees in Game 2 of the ALDS against Cleveland. They had knocked out Indians’ starter Corey Kluber, the likely AL Cy Young Award winner, en route to an 8-3 lead in the sixth inning. 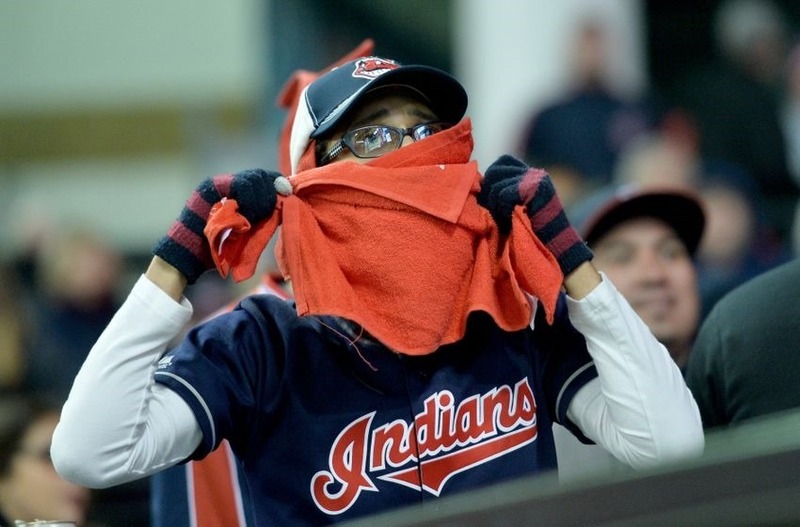 With two outs and two men on base, New York’s Chad Green hit Cleveland’s Lonnie Chisenhall with an 0-2 pitch. Or did he? Catcher Gary Sanchez, who caught the ball, yelled “Foul!” and looked over at the Yankee dugout. Chisenhall never reacted to the pitch, something a player would normally do if hit in the hand by a 95-mph fastball. Instead he sheepishly trotted down to first base. Seriously. Why not challenge? If you win, it’s a strikeout and the inning is over. It’s an extremely low-risk, high-reward proposition. It’s already the sixth inning, and the Yankees had two challenges remaining. If the ruling on the field is overturned, the inning is over. If not, at least it was reviewed. Instead play continued, and Francisco Lindor promptly hit a grand slam to get the Indians right back in the game. Compounding the issue, Girardi later claimed he didn’t want to stop play and upset Green’s rhythm. “I think about the rhythm and never want to take a pitcher out of rhythm and have them stand over there to tell me he wasn’t hit,” Girardi said. Fess up Girardi, you messed up. Admit it and move on. That excuse might fly in some cities, but not in New York. Ten years ago, almost to the day, the Yankees suffered a similar heartbreaking ALDS loss to the Indians in Cleveland. That night another Joe – Joe Torre – failed to ask for a stoppage of play when a swarm of midges appeared on the field as reliever Joba Chamberlain was trying to pitch. Torre later admitted that he should have called time. That indecision eventually cost Torre his job. He was replaced by – you guessed it – Joe Girardi. It doesn’t appear that Girardi will lose his job as a result of his non-challenge. But this promises to go down as one of the more boneheaded managerial decisions in Yankee postseason history. Social media lit up after the game. Giradi’s legacy, along with the Yankees playoff aspirations, certainly took a hit last night. You below it Clueless Joe, you blew it.